It also introduces the reader to larger scale applications such as concentrating solar power. 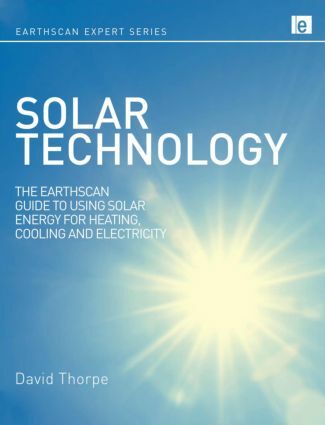 Highly illustrated in full colour, this is the perfect primer for anyone who wants to work with or simply learn more about solar technologies. David Thorpe has been the News Editor of Energy and Environmental Management magazine for ten years. Prior to that he was Managing Editor and author at the Centre for Alterative Technology, where he edited The Whole House Book among many other titles. He is also author of Earthscan Expert book Sustainable Home Refurbishment.